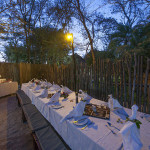 Great news!! 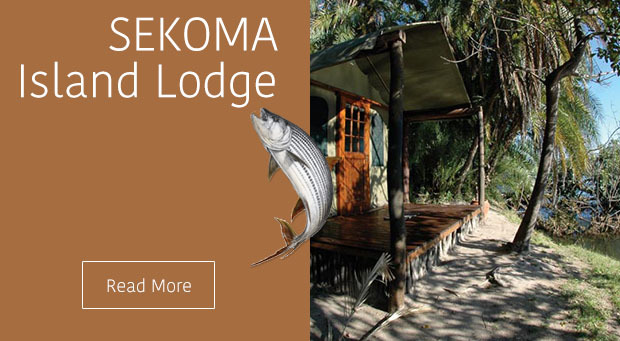 Sekoma Special - Pay 3 nights, Get 1 night Free. 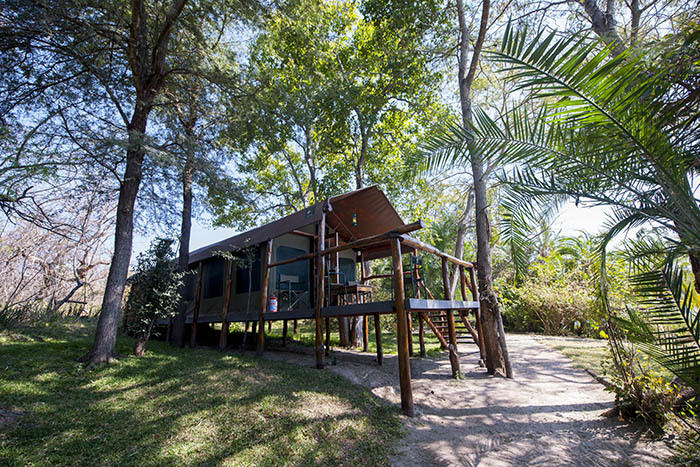 Valid from the 1st January 2019 till end May 2019!! 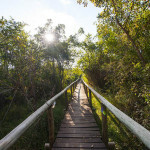 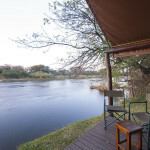 4 night, 5 day package – ZAR 10,250-00 p/p excl. 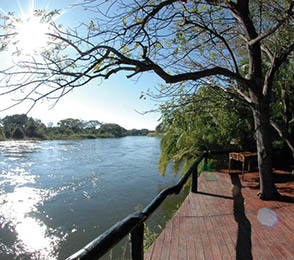 Flights.Yellow Fever Vaccinations No Longer required!! 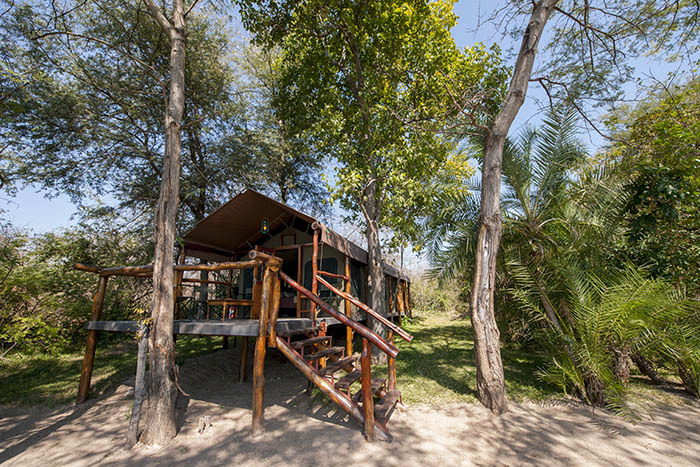 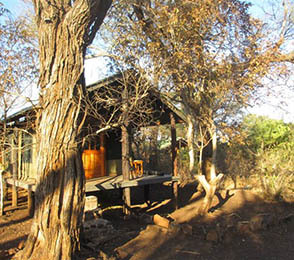 Sekoma & Ilombe Island Lodges are located in the Prime flood plain region of the upper Zambezi River in Zambia. 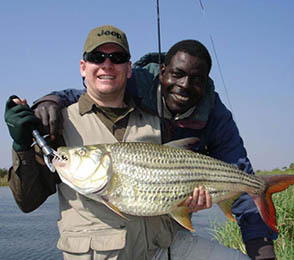 Eastern Caprivi and its vast floodplains are well known for its excellent trophy tiger fish, monster bream. 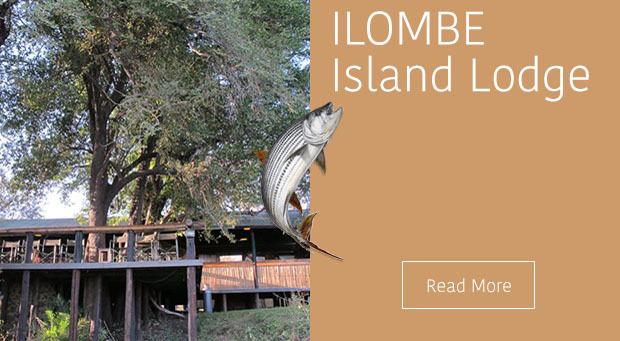 Come challenge the legendary Tiger Fish & Largemouth Bream on fly, lures or live bait. 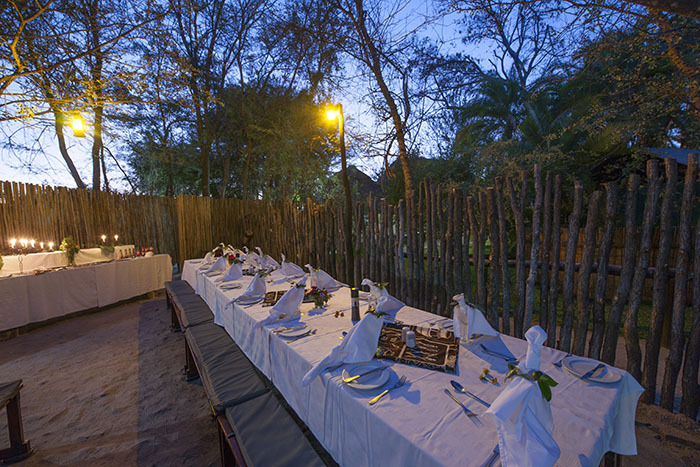 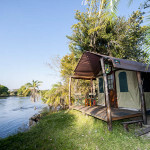 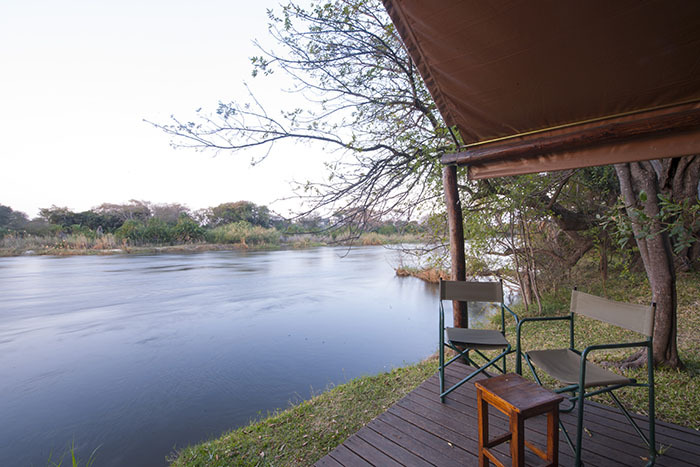 Both Lodges are Nestled privately in the Mambova Rapids close to the junction of four countries – Namibia, Botswana, Zambia and Zimbabwe – and near the meeting place of the mighty Zambezi and Chobe Rivers, close proximity to Impalila Island. 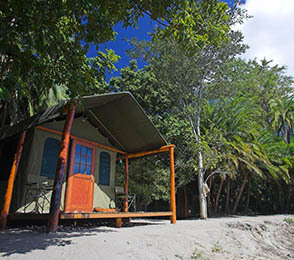 A "Robinson Crusoe" island, it teems with indigenous fauna and abundant flora and boasts more than 70 different fish species. 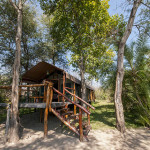 The waters surrounding Sekoma Island are only navigable by mokoro (dugout boat) except the northern point area which has been coverted into the Lodge's harbour and clients, therefore, have total exclusivity..
Each tent is raised on wooden decks, each with their own breathtaking view of the Zambezi River. 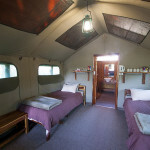 Each room can be easily converted in to one queen-size double or two singles. 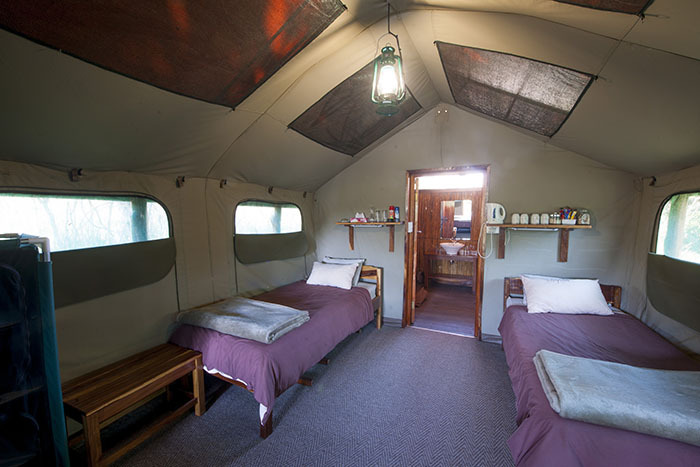 Each bed is set up with two comfortable pillows, a duvet, a warm blanket for winter and a throw-over sheet for the heat of summer. 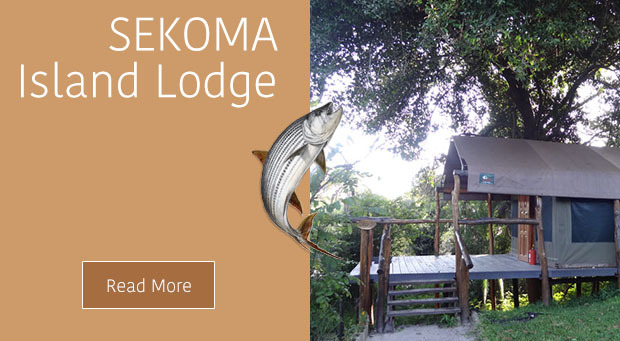 Whatever kind of fisherman you are, we have the bait to get you to Sekoma. 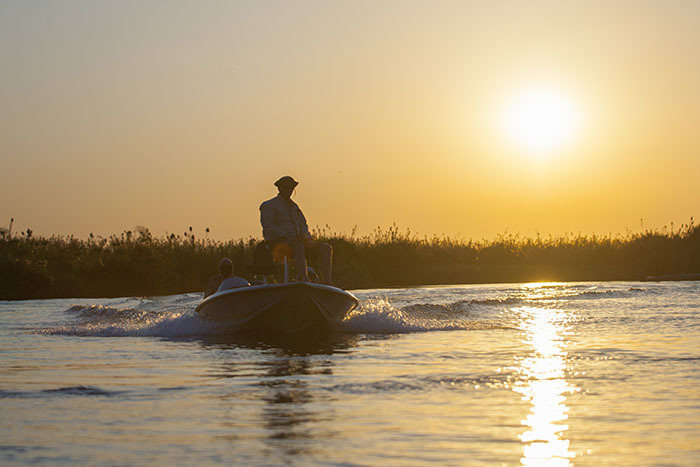 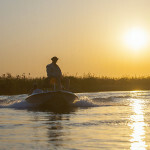 The Zambezi and Chobe offers every fisherman wonderful opportunities. 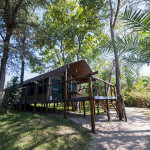 Sekoma Island Lodge is situated on the Zambian side of the Mambova Rapids on a stretch of river that experiences annual flooding. 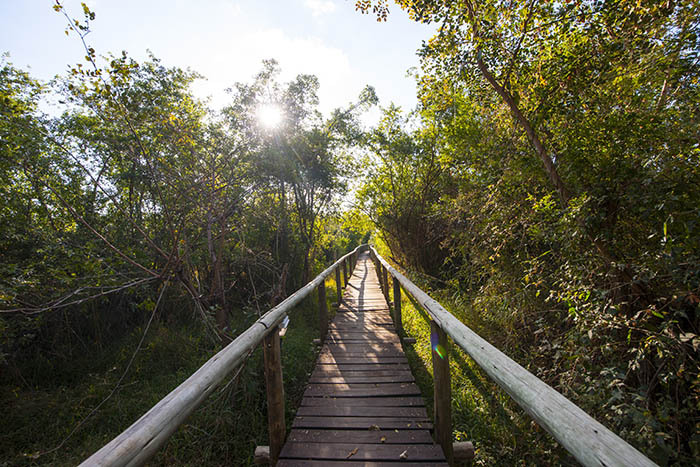 This phenomenon acts as a stocking system where the area becomes home to a large variety of insects, crustaceans, flora and of course, fish. 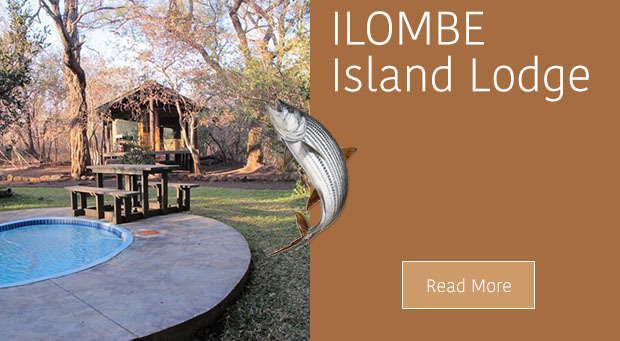 A "Robinson Crusoe" island, it teems with indigenous fauna and abundant flora and boasts more than 70 different fish species. 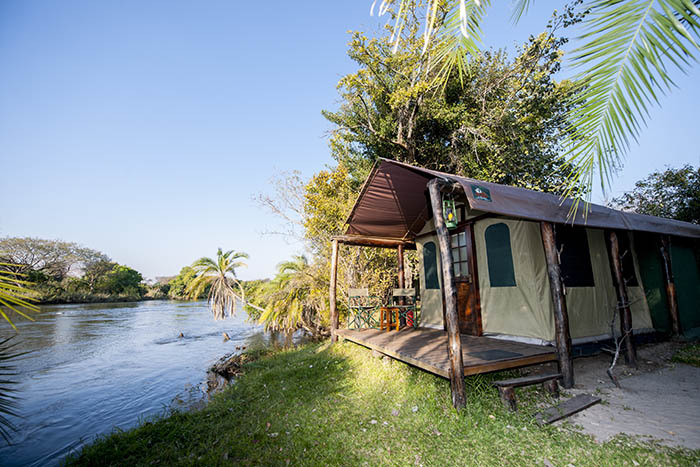 The waters surrounding Sekoma Island are only navigable by mokoro (dugout boat) except the northern point area which has been coverted into the Lodge's harbour and clients.